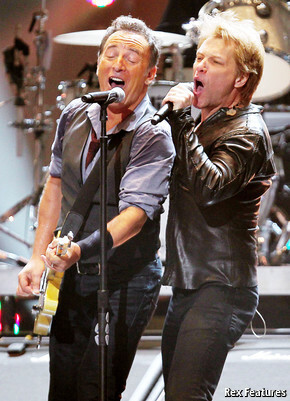 Bruce together with Jon Bon Jovi performed the song during the "Come Together" concert . Bruce Springsteen did not sing, but he probably was onstage playing guitar during this and all the other songs on which he did not sing. 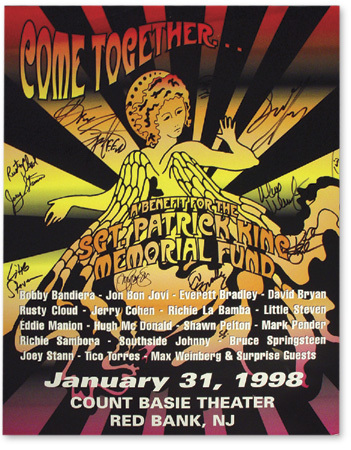 The "Come Together: Jon Bon Jovi & Friends" benefit concert was organized by the Long Branch Police Department, The Asbury Park Press, and FPI Concerts, along with Jon Bon Jovi. The concert was to honor slain Long Branch police officer Sgt. Patrick King and raise money for the Sgt. Patrick King Memorial Fund to provide for his family. King, 45-year-old father of two young boys, was fatally shot on 20 Nov 1997 by a fugitive who had vowed to kill himself and a police officer rather than be captured and returned to jail. Twenty musicians with ties to the Jersey shore music scene answered Jon Bon Jovi's call, including Bruce Springsteen and several members of the then-disbanded E Street Band (Clarence Clemons, Danni Frederici, Patti Scialfa, Steven Van Zandt, and Max Weinberg), Southside Johnny, Bobby Bandiera, and Richie Sambora among others. Actor Danny DeVito was the event's MC. Tickets, which were priced at $125, went on sale on 17 Jan 1998 noon and sold out in just eight minutes. The concert that was organized in short order raised more than $112,000 for King's widow and his two sons. This was a near-reunion of the fabled E Street Band and Springsteen's first full-length electric gig following the acoustic The Ghost Of Tom Joad Solo Acoustic Tour. Springsteen spent much (or possibly all) of the night onstage, singing or playing guitar only. Soundboard recording for the complete concert is available among collectors. The 31 Jan 1998 show at Count Basie Theatre was commercially released in Europe. Since 2005 some enterprising record labels in Europe (mostly in the UK) have been releasing Bruce Springsteen radio and TV broadcasts (and some soundboard recordings) from the seventies, eighties, and nineties. Though these releases are not authorized by Bruce Springsteen or his record company, they are lawful due to a legal loophole in Europe. 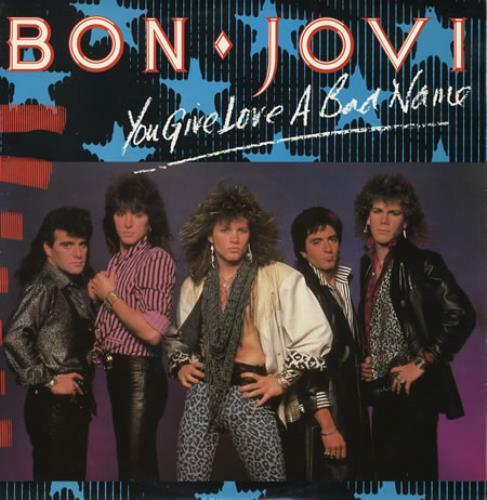 "You Give Love a Bad Name" is a song by Bon Jovi, released as the first single from their 1986 album Slippery When Wet. Written by Jon Bon Jovi, Richie Sambora, and Desmond Child about a woman who has jilted her lover. Despite the lyrics of the chorus, the song should not be confused with "Shot Through the Heart", an unrelated song from Bon Jovi's 1984 self-titled debut album. "You Give Love a Bad Name" was originally written for Bonnie Tyler under the title "If You Were a Woman (And I Was a Man)" with different lyrics. Dissatisfied with its success in the US and the UK, Desmond Child re-wrote the song with Jon Bon Jovi and Richie Sambora. The music video for the song used all-color concert footage (the only all-color video song from Slippery When Wet) and photogenic shots primarily of Jon Bon Jovi, as well as other band members in concert. This video was filmed at the Olympic Auditorium in Los Angeles, California.